I met Denise of Kuanyin’s Travels in a travel blogger’s group on Facebook. 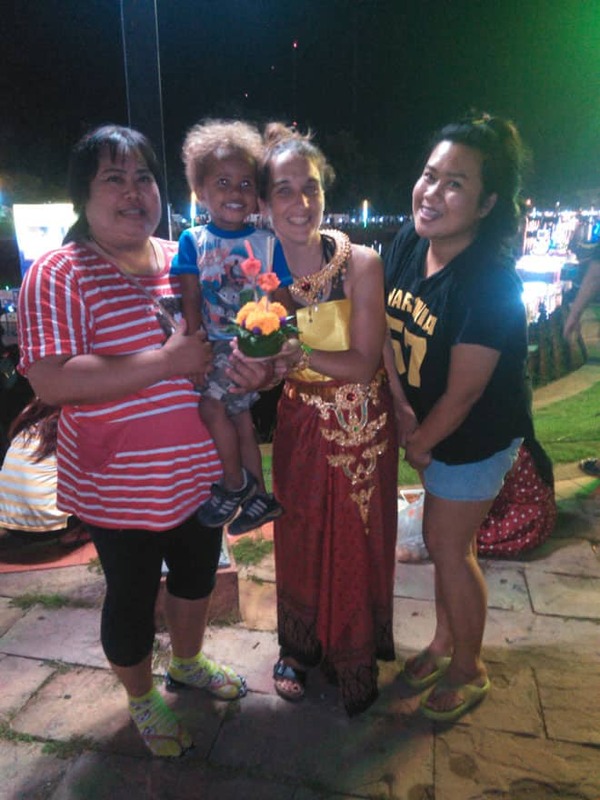 She is currently in Thailand with her adorable son teaching English. 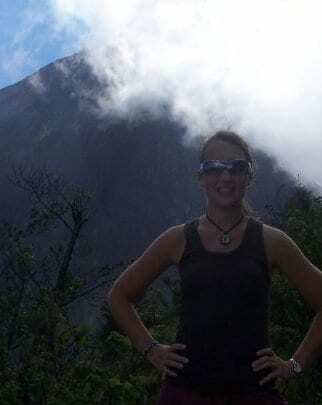 This is a great way to explore the world, but it’s not without it’s [visa] difficulties which you can read about on her blog! Denise is also one of those rare bloggers who doesn’t actually have any social media but she still manages to interact with other bloggers and community members – it can be done! I first began traveling with an EF tour in my last year of high school. A group of us went to Italy and Greece for March break and from the moment we landed I knew my life had changed. I wanted to learn about the larger world, learn languages and figure out how I could live long-term outside of Canada. I knew I had grown up in a sheltered community and wanted to ensure if I ever had children I would be able to show them the world earlier than I had ‘found’ it. Freedom, humbling, educational, eye-opening, adventure, compassion-building, networking. I love trains. You have the sights and sounds of ground travel with the convenience of a food trolley and can get up and move around or convert your seat into a bed if the journey is quite lengthy. Prior to having my son I would read or sleep during transit so it didn’t matter how I traveled. Give me the least comfortable seat on a bouncing, stinky bus and I would sleep through it soundly. I used to be so great at catching up on sleeping during travel that I tailed to experience three consecutive trans-Atlantic flights, missing take off, landing and everything in between because I managed to sleep the ENTIRE journey. *Another thing, I also love airports. There’s something about them that I quite enjoy. People sometimes complain about lengthy lay-overs. Not me! Give me 10 hours in an airport and I shall enjoy every minute! I think I associate good food with the atmosphere in which it is eaten. My favorite food experiences are when you find that ‘perfect’ spot to frequent that has the combination of great food and lovely atmosphere. Whether you are looking for a chilled, hammock-filled cafe, or a great little spot for networking a great atmosphere intermingles with good food to create the fondest of memories. My greatest food memories include who I was with, the scent of a particular cafe or the event we were celebrating. My first gelato in Italy with my sister on our first trip abroad ranks highly simply because of who I was with and the taste of freedom we had as teenagers. I think the most valuable information I have received has come from other bloggers. Networking with other bloggers is very important to me because I recognize all that there is to learn. 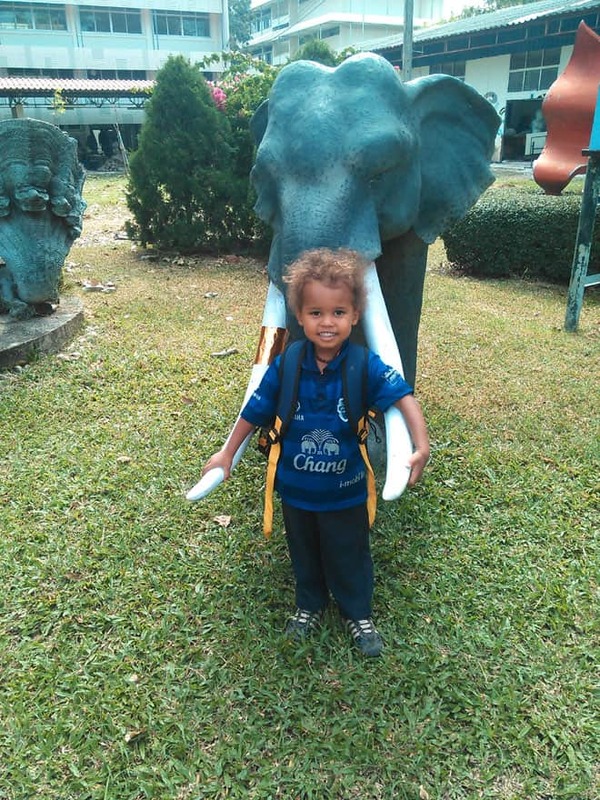 I am currently working in North Eastern Thailand and will finish my teaching contract in March. I will spend a month backpacking around the country prior to returning to Canada. In the fall of 2015 I will be looking for another teaching contract but the location is still undecided. I am particularly interested in Thailand again (so we (my son and I) can improve our language skills we have acquired this year) or possibly Oman. Spanish or French speaking countries also rank high due to my wanting my son to learn those languages as well. 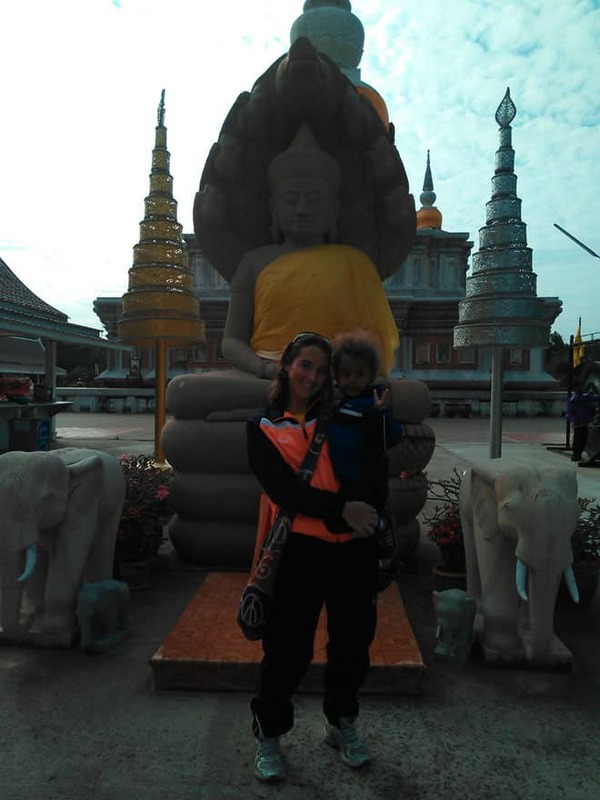 You can keep up with Denise on Google+ and Kuanyin’s Travels. I am sure you will enjoy her adventures! How about you? What would you like to know about Denise? Wow, what a rich life she’s giving her son! And how in the world can she not be on any social media?! That’s probably why she looks so relaxed! @Lois, her son is going to have a deep pool of experiences to guide him as an adult, such a great way to learn about the world. Since I run a social media program for a company as a profession, I have no clue how she stays off social media, but God love her! What an amazing blog post. I’m a mum myself and often read posts about people taking gap years and travelling around the world or going to work in another country for a certain period of time and always wish I had did something like that myself before having children. You never see posts from parents, I think this lady is inspirational and her son will be benefiting massively from seeing all these different cultures and hearing different languages. Soon he will be going to school so she will have to settle in one location so I think good for her for taking advantage of these younger years and sharing this amazing experience with her son. @Kerry-Ann, I can’t agree with you more. I grew up a military brat living all over the country and the world and it deeply enriched my life, I wish more parents would do this kind of travel with their children, although I know it must not be easy, but it produces great global citizens! What a luck girl to be able to travel! I would love to travel and backpack the world. Her son is a cutie, he will learn so much from the adventures. @Sherry, she is definitely a great an example of what hard work and persistence will get you! Her son will most certainly learn a lot and be prepared for a lot of things in life! How great to start to have these kinds of adventures young and keep it going. Very cool blogger. @Carol, I am so glad you think so. 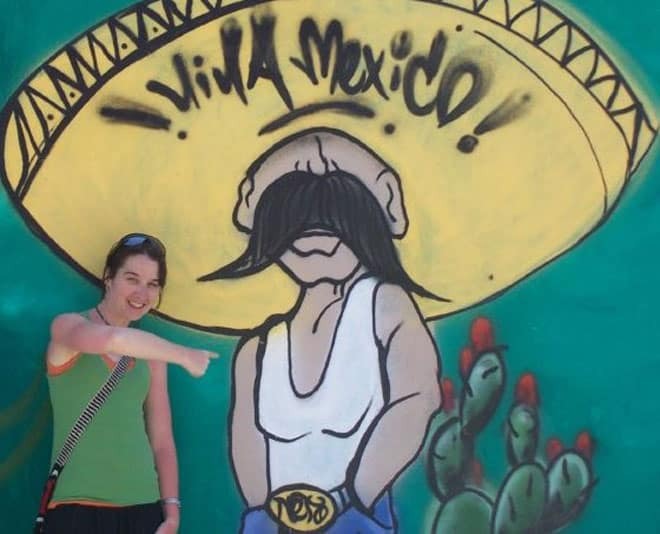 Denise is pretty adventurous – some of her visa “getting” stories are quite rambunctious! How wonderful to find your passion so early in life. There are many, many years of great travel ahead! @Sheryl, she has a lot of adventures ahead of her, can’t see how they turn out. I love this interview and the fact that she’s following her passion and sharing it with her son. What a magical time for them. My best friend made a documentary about a dear friend from Thailand and spent a good deal of time there. I’d love to go. I truly enjoyed this post, Andi. @Cathy, I am so glad to hear that. Denise is such an inspiration! Most people wouldn’t forge the path she has trailed alone let alone with a small child! I’m very happy to read about your travels. What great experience you and your son are having. A fellow Canadian this week! I admire bloggers who can do it without the use of social media. Gelato in Italy – I completely understand. It’s so good and the atmosphere is delightful no matter what city you eat it in. @Murissa, I know I love Denise for her focus – just the blog, no social! Gelato always transports me back to Italy. Such a fabulous lifestyle. I, too, love airports. There’s something about the coming and going and hellos and goodbyes and chitter chatter all about. THE best place for people watching, for sure. @Lisa, I absolutely adore airports for ALL those reasons! Wow, I just love how she describes what makes a great food memory for her. She is so right — it is about so much more than that bite, isn’t it? And another airport lover! Thank you for the introduction! @Ruth, the bite is just the start! And it leads to so many wonderful adventures! What a cool way to live! Her son is going to be so well-rounded. Wish I’d done more traveling when I was younger. @Angela, he will be! I had the benefit of travel when I was a child and it definitely shaped my approach to the world! I think it’s great that her son gets to see the world at the early ages. @Mai, me too. I traveled a lot as a child and it made so a huge difference to how I view the world. I bet her son is enjoying this adventure! I think it’s great to learn about the world through seeing it firsthand. I would love to visit Thailand one day. Wow! What a great experience to share with her son! The ability to interact with other people in different areas of the world is wonderful. That’s SO AWESOME that she’s doing this with her son! Major kudos. Great interview! I’m so inspired to travel! I love how you mentioned how travel was humbling! I totally agree! It is awesome how your son is getting to experience the world with you! @Jamie, isn’t it? I think it is one of the best way for kids to be exposed to other cultures! Nice to meet you Denise! Thanks for sharing your thoughts! Very exciting! Love what she is doing. One of the reasons I homeschool is because once the kids get a little older I want to travel abroad for a year doing humanitarian type work. I would love to give them that experience. @Hope, that will be a fantastic experience! I traveled a lot as a child and think it definitely impacted the person I am today (for the better!). I would love to be able to travel like this! That is just amazing and i’m so very envious of what you get to do and see! Thanks for sharing! Aww, the little boy is so adorable! @Ronda, isn’t he?! He has a new habit of doing the two-finger peace sign in all his photos right now! I can’t believe you love airports! They feel like a black hole to me :). @Christine, I love them too – I love to people watch there! I think it’s awesome she’s exposing her son to the different cultures. That beats learning about them in books. @Corina, I couldn’t agree more. I had both growing up, lots of moving and lots or reading and I loved it! I would love to do this. It has been a long time since I’ve traveled, especially with my family. Very cool interview. Thanks for sharing! @Tanya, Denise is very inspiring, especially with families with kids who think they can’t! Um, heck yes Denise. I think I learned plenty about you in this post 😉 She’s fantastic, I love the travelling spirits. I couldn’t do it but it’s cool she can…WITH her son! So awesome. @Kat, I am so inspired by Denise, she is doing all this great traveling, not alone but with her son which is so cool! Wow, I am jealous of all Denise’s travels! And with a toddler no less! Wow! @Jaclyn, I know, that is quite impressive, I can barely get myself anywhere let alone with a child! I used to love to travel. 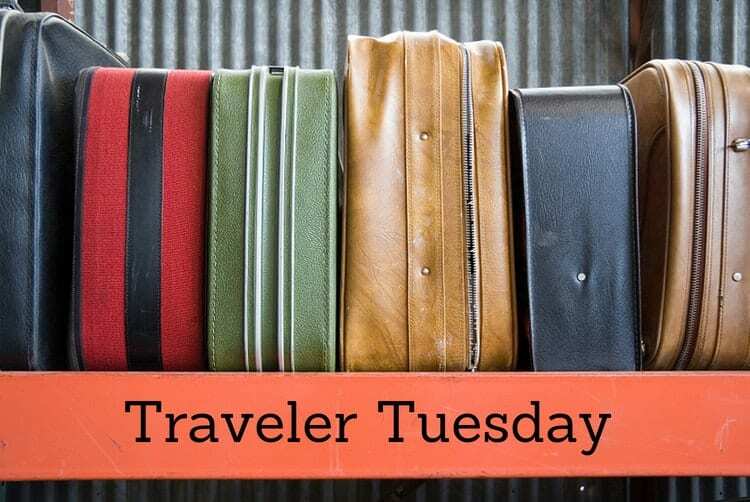 Now I love to read about other people’s travels, now that I am less able to travel. I love that you see it as freedom and eyeopening. I would totally agree. It is very freeing, yet humbling by seeing how other areas live. You will never be the same.